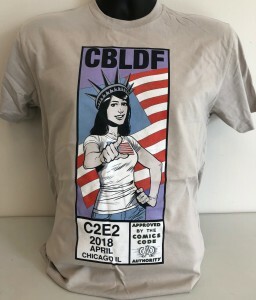 We’re excited to announce that we’re giving our donors another chance to grab our brand-new C2E2 Exclusive Shirts, designed by Rebekah Isaacs! 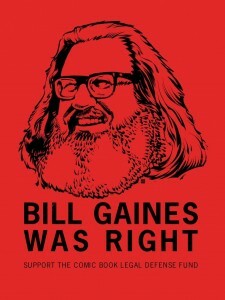 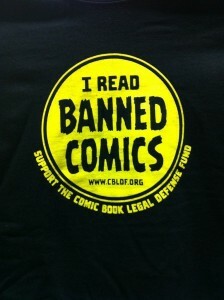 Show your support for free speech with one of the comfy t-shirts below, featuring the designs of Simon Hanselmann, Brian Wood, Tony Shasteen, and more! 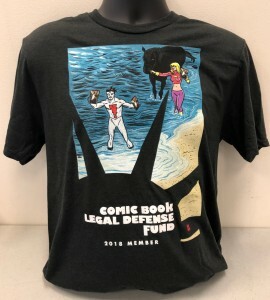 We’ve also got some great new 2018 Membership rewards this year, including a cozy tee or hoodie featuring the artwork of Mike Allred! 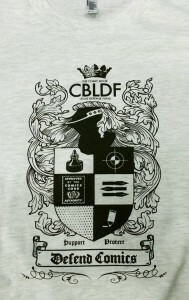 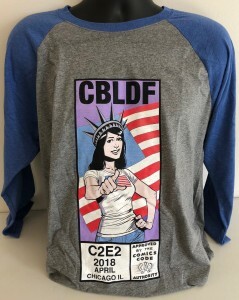 Don’t miss out, donate to CBLDF today to grab yourself some new threads! 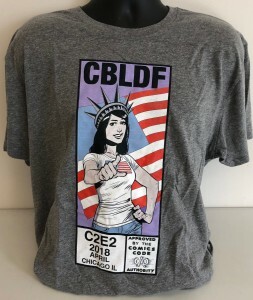 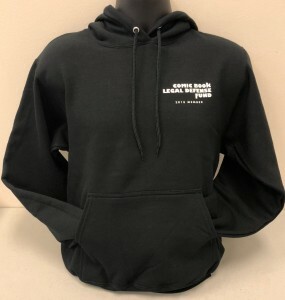 Become a 2018 CBLDF Member to grab our exclusive T-Shirt and Hoodie!